The Episode starts with Kesari scolding Jagat for drinking wine. She asks what will dad do knowing this, how did you break dad’s belief. She cries and says dad has all his hopes on you. Jagat says I will tell dad that this happened because of me. She asks will you break his heart, who has fed this to you. He recalls Zoravar. He says don’t know, I don’t remember. He hugs her and asks her not to cry. Hanumant comes there and gets shocked seeing the fire. Kesari says we will manage this together. Hanumant asks Jagat what’s all this. Jagat says I fainted down. Hanumant says I gave responsibility to you both, why didn’t you stop the fire. He angrily slaps Kesari. Kesari falls down. Madhavi gets conscious and says Kesari. Hanumant scolds Kesari. He calls her a curse on his life. Madhavi says Kesari… Hanumant says everything for ruined, what will I tell Aatmaram. Kesari says I had saved some grains. He asks what did you say, tell me. She signs Jagat to tell something. She thinks maybe Jagat is scared of dad like I get scared. Hanumant asks her to say, Jagat won’t help her today. He says Jagat doesn’t lie, he is true, he said he had fainted, what reason did you say, come with me, tell me what shall I do of this of these ashes, you have ruined me, I realize that you are totally useless. Kesari gets shocked. Hanumant goes. Jagat goes after him. Kesari cries. Its morning, Madhavi is at home. She waits for kids. Hanumant and Jagat come home. They see Madhavi. Hanumant says you were in hospital. Choti Maasa says she is fine now. Madhavi asks where is Kesari. Kesari comes. Hanumant asks Kesari to tell them what she has done. He says more than half of my harvest got burnt because of her, she is a big problem for us. Kesari worries and signs no. Madhavi asks what is Hanumant saying, how did the harvest burn. Zoravar and Bijli come home and do a drama. Zoravar asks is all the harvest burnt. The man says yes, it got saved, we have half the harvest. Hanumant asks him to go. He says what’s the use now, half of harvest got burnt, godown is also ruined. Zoravar says you are right, this loss can’t be covered, you have to pay to Aatmaram also. Aatmaram comes to collect money. Zoravar does a drama again. He asks Aatmaram to come after 2 days. Hanumant asks Aatmaram to leave, he will get his money. Aatmaram asks him to give him the house and land. He says you will be free from this problem. Hanumant asks him to go, one day is still left. Aatmaram taunts him about Kesari bringing back luck for them. Aatmaram says your house and grounds will burn because of this girl. Hanumant hurts him and asks him to get out. He asks everyone to keep Kesari away from him. 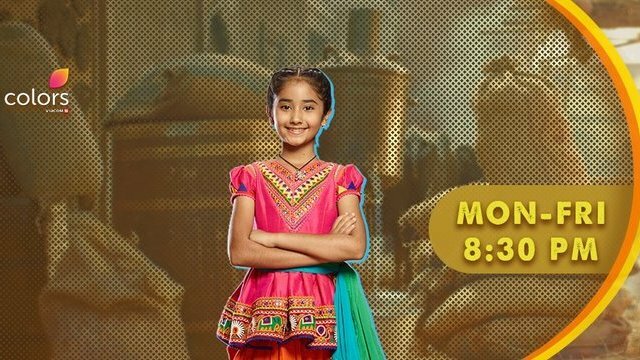 The post Kesari Nandan 21st February 2019 Written Episode Update: Hanumant blames Kesari appeared first on Telly Updates.